In a fit of delicious irony, chicken thighs, not pig parts, star at the People’s Pig—skins on, smoked to smithereens, baptized in hot oil for crispy ruffles, then glazed emphatically in house jalapeño jelly. 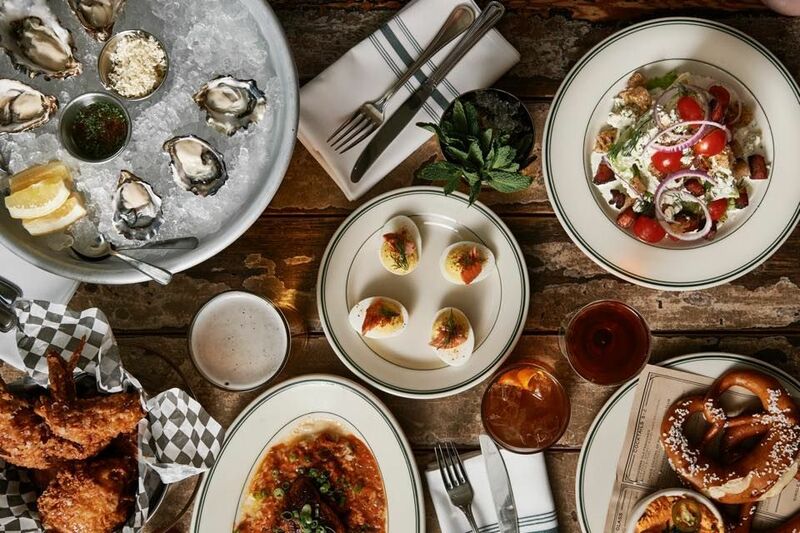 Like everything at the Pig, you can have it as a platter with sides or as a salad, but that would mean missing the big picture: monumental, char-blistered sourdough buns. It’s a five-napkin experience in bombastic pleasure, and one of the best sandwiches anywhere, from here to eternity. 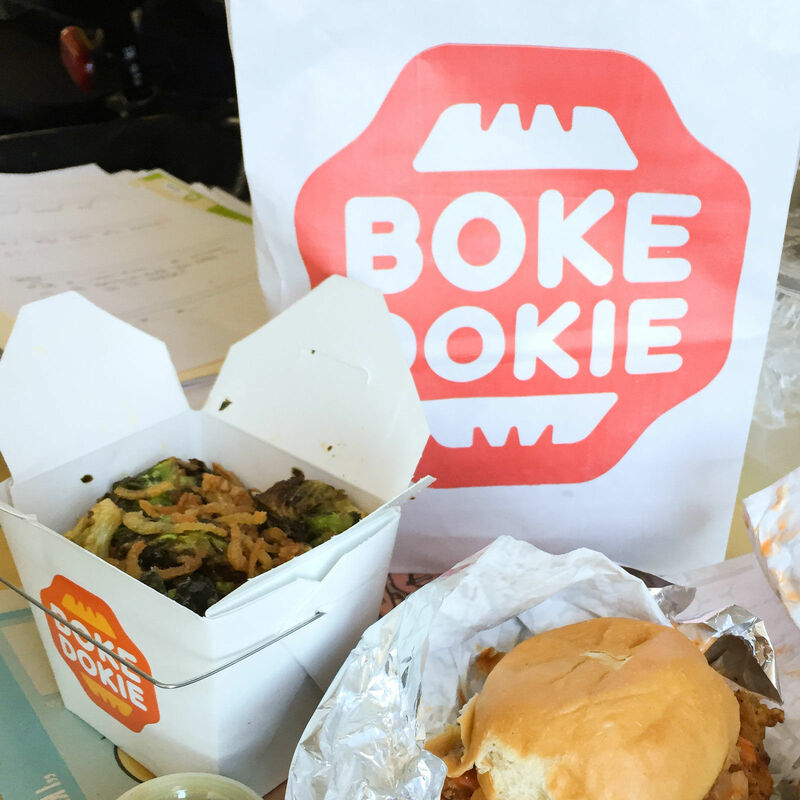 Boke Bowl’s growing mini chainlette owes its wild success to one dish: the “chix” sando. The hunk of devilishly spicy fried chicken that usually tops Boke Bowl’s unorthodox ramen comes in a sweet, soft, buttery steamed bun with pickle crunch and kimchi-slaw tang. 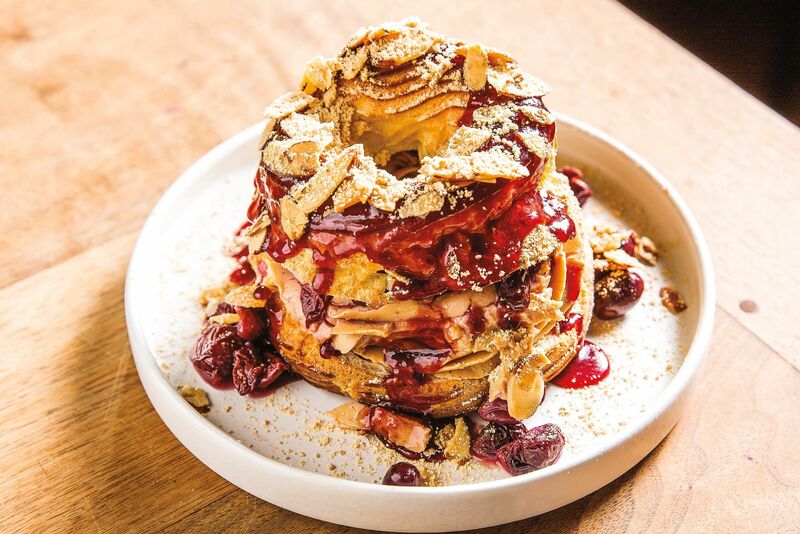 Cap the meal with a slice of honey salt pie, sweetened with Bee Local honey and topped with flakes of Jacobsen Salt. 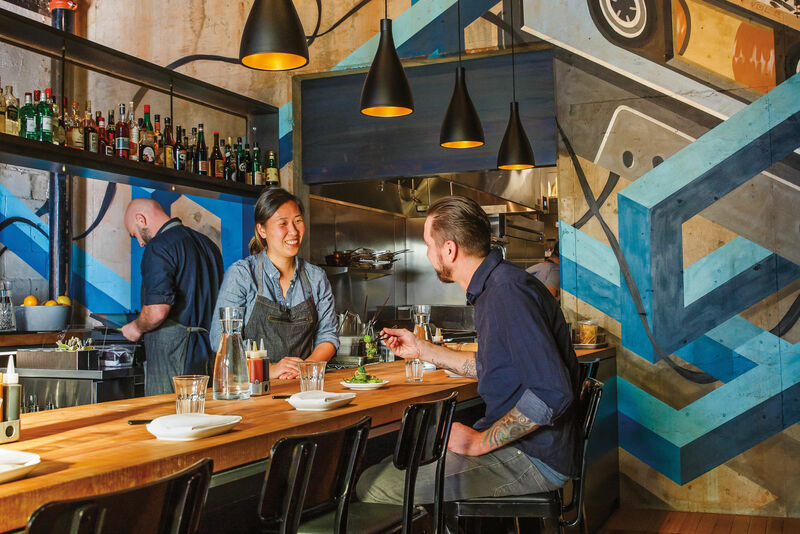 Vietnamese-leaning Rua was reborn as Basilisk in 2016. 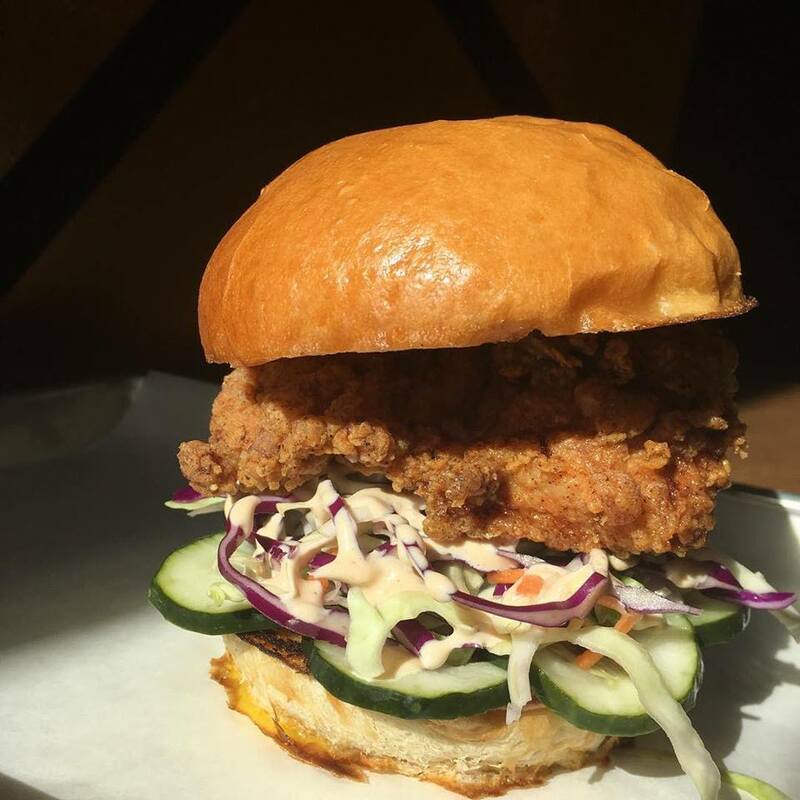 In place of banh mi and pho, you’ll find a superlative fried chicken sandwich, double-stacked with heavily battered, crackly-crisp hunks of dark meat, and topped with bread and butter pickles, slaw, and a buttered bun. If you’re feeling hedonistic, tackle the dan dan fries: spicy, peanut buttered spuds positively covered in cilantro and peanuts. You can skip the Kool-Aid soft serve. The hot case inside a drab Northeast minimart hides one of Portland’s most perfect chicken cravings: golden, juicy, salty-sweet wings that deliver a titanic crunch with each bite, so crisp you can nibble ’em down to the bone. 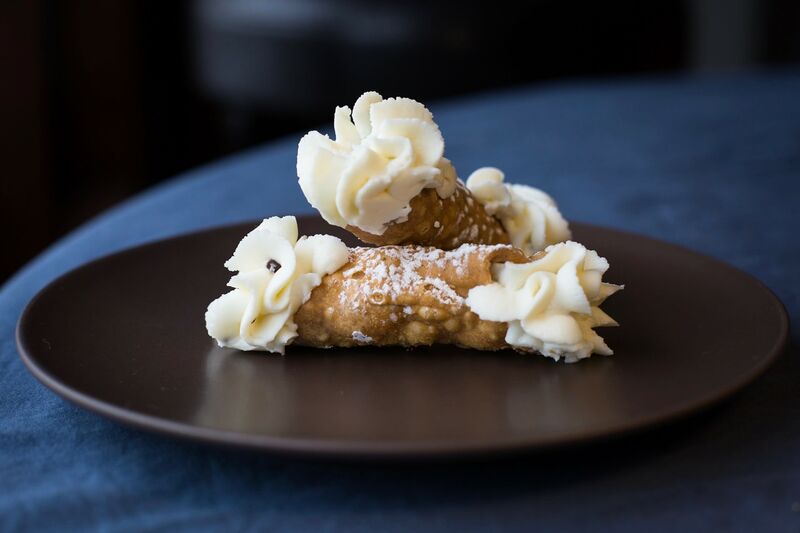 A grease-streaked bag of six with silky little spice-dusted jojos is six bucks. That’s it. The secret? 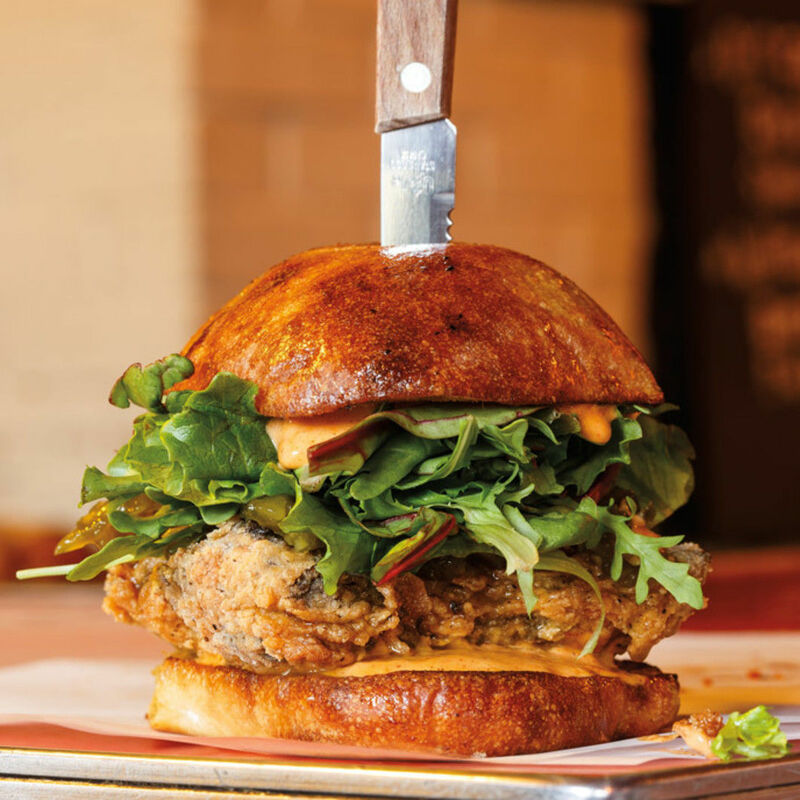 Quality Draper Valley chickens sizzled in an open fryer rather than a soggy pressure cooker, according to owner Chris Chung, who’s been tinkering with his recipe for more than a decade. “I try this and I try that, and it came out good,” he shrugs. Chris Chung: master of understatement. It seems like a back-alley drug deal: you check your six, scurry across Old Salt’s parking lot, and duck through the red door in back. 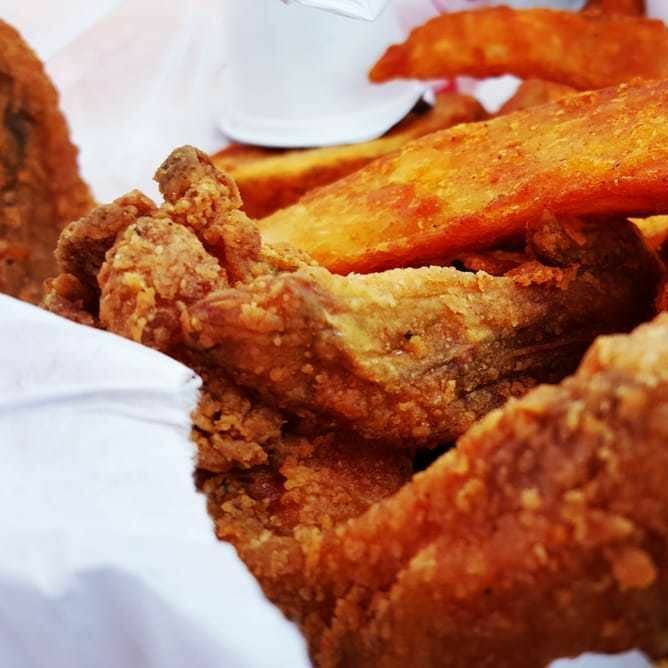 Inside, the aproned kingpin herself—Mae’s Maya Lovelace—counts out 10 pieces of golden, triple-fat-fried crack each into 10 buckets, dropping handfuls of Wet-Naps and packets of hot sauce on top. You hand her a wad of cash and walk out hugging your prize, avoiding eye contact with the next addict in line. 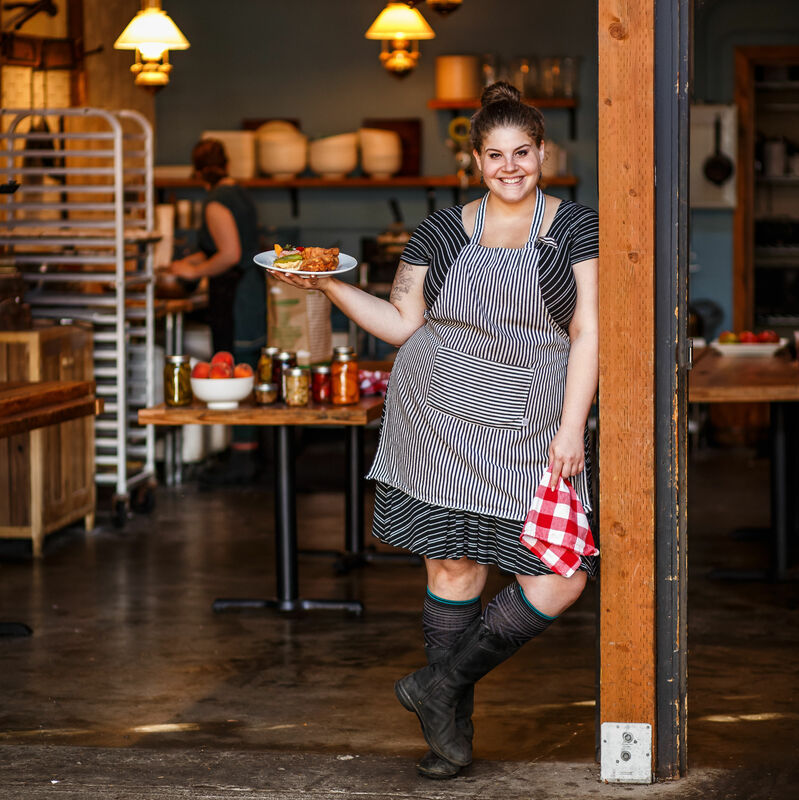 Yes, every Wednesday, the chef of Portland’s lauded Appalachian pop-up restaurant posts an announcement for 10, and only 10, to-go buckets of her cult chicken on Instagram. Three bites in? You’re already scheming how to score it again next week. 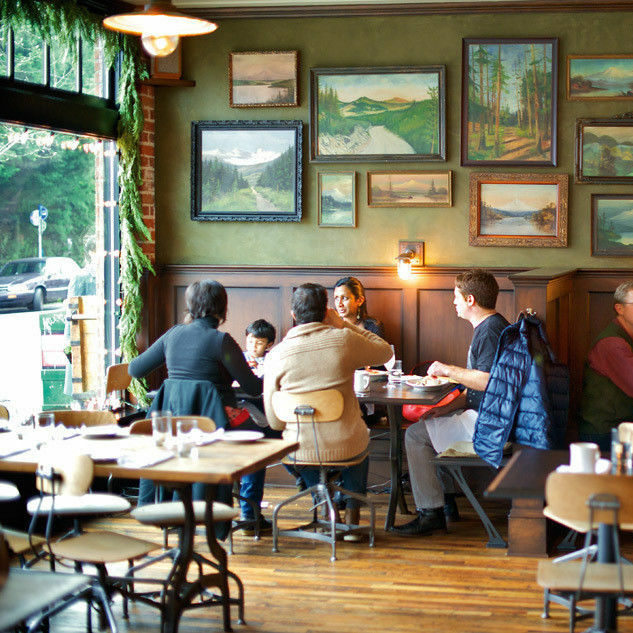 Portland’s foodie answer to the Twin Peaks aesthetic weighs in with a highbrow paper bucket of otherworldly, buttermilk-sopped fried chicken ($19 for five pieces). It’s double-dredged in onion powder and paprika-laced flour, fried hard in lard for proper crunch, and then aggressively herb-salted and drizzled with honey. 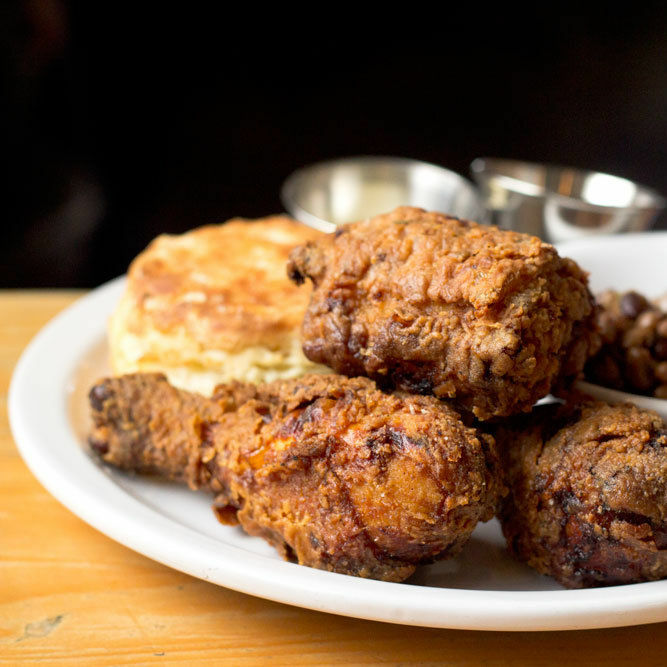 Anoint each bite with a dollop of vinegary house hot sauce and let your eyes roll back in your head in poultry ecstasy. The meat is ambrosial, dark-only and juicy as all get out, and the crust is unlike any we’ve tasted: crisp skin (think the best part of Thanksgiving turkey) beneath a flaky layer of super-crunch. It’s like fried chicken pastry, all of it loudly crackling upon engagement. You can’t go wrong. Order buttermilk style or the fiery Nashville Hot, glazed in homemade lard and cayenne—what happens when granny goes Mean Girls.